American Pharoah just blasted past two horses to win the 141st Kentucky Derby. 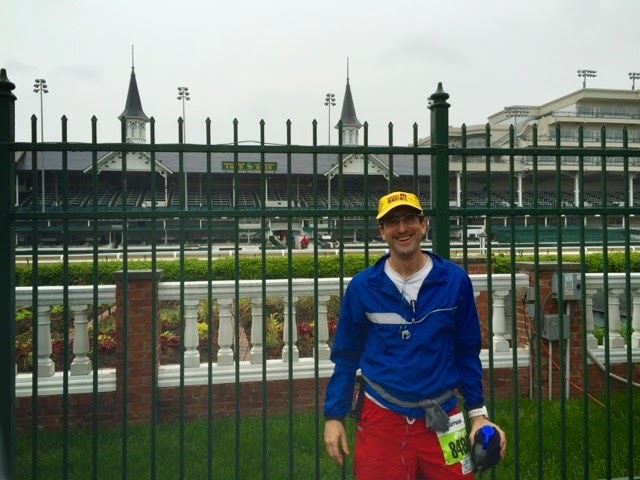 I would love to write that I did the same to win the 14th Kentucky Derby Festival Marathon the weekend before on April 25th. However, I would need the field to be about 7 slow people in total rather than my fellow 1500 rain soaked runners. Sparkling times in the 3:30s seemed to have fully slipped out of my grasp, and this race, thanks to a few longer bathroom stops was my slowest marathon ever at just under 4:45. I’ve spent more time on a course but only for longer distances. In fact, I completed two 50Ks (31 miles) faster! So whilst state 31 got notched where ever one notches completed marathon states, I need to look at other qualities of my runs rather than purely completion time. First, just finishing really needs to be goal one. 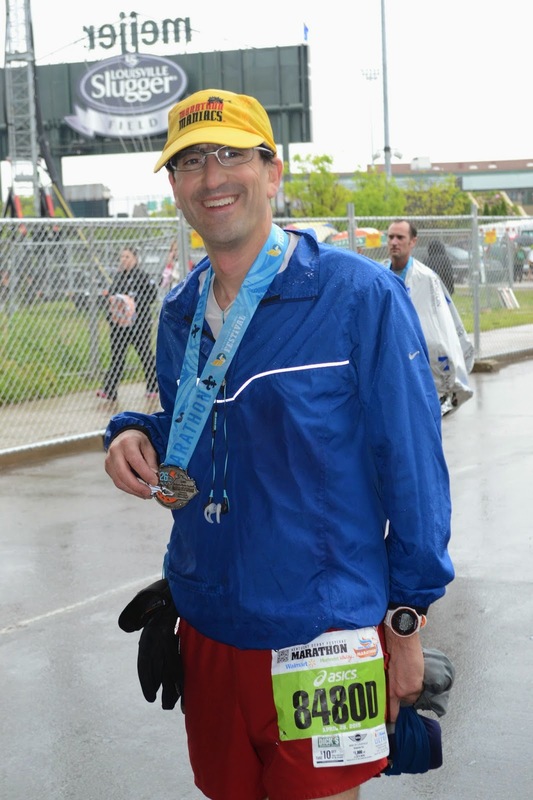 Determination and heart cannot be ignored when running 26.2 miles. The distance and time both are too long to do it all on skill and physical ability. Or perhaps more accurately stated, part of the skill needed is mental. This is less about willing myself to keep running (usually) but more this is about running well. Can I keep a good pace, my heart rate in a good zone and my mind clear? Yes on this race at least! So, second is setting a plan and trying to hit it. When I go out running, I have a preconceived idea of how I will run. Is the first half flat and the second half hilly? Do I try to for negative splits (2nd half faster than the first)? Do I want to pass lots of people at the end? What is my time goal, and what is a stretch one? In the end, I need to respect the conditions on the course. 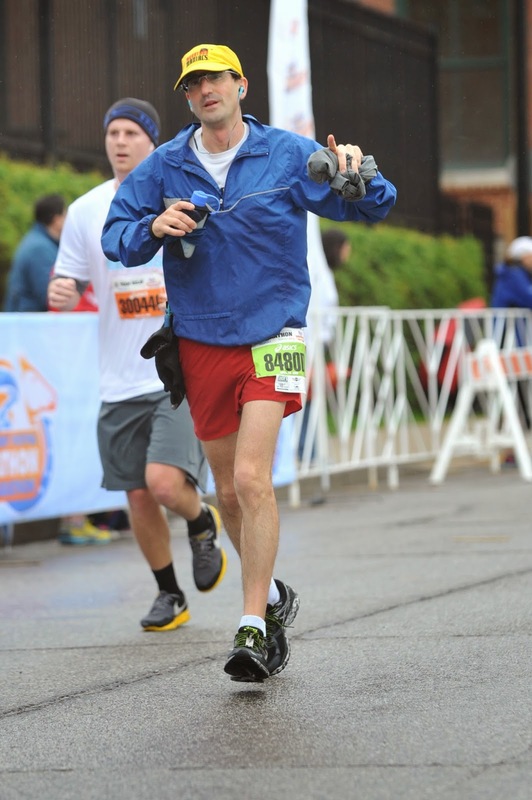 So, with rain for the entire race (pretty much), I knew my time would be slower and yet also I would not overheat. Everything is a trade off. Had the day been hot or humid, the time would have been even slower. But you do not want to bonk at mile 18 and not finish. This is meant to be fun after all, and it is. Third is to run to see the cities I visit. Over the past year, I have made a commitment to pay more attention. I stop and take photos. I talk to fellow runners. The day before or after, I try to do a tourist thing in the city. 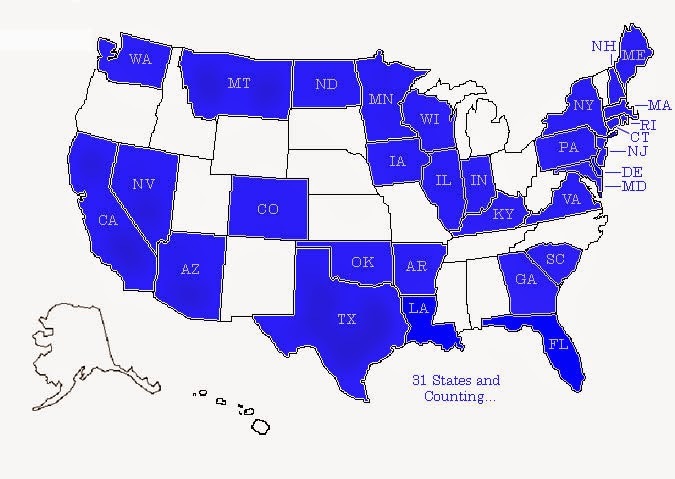 Since my 50 state quest is about travel, there is no point to just try and fly in, run and leave. Sure, I will do that from time-to-time, but I feel those runs lack a little something. In Louisville, I did all of these. 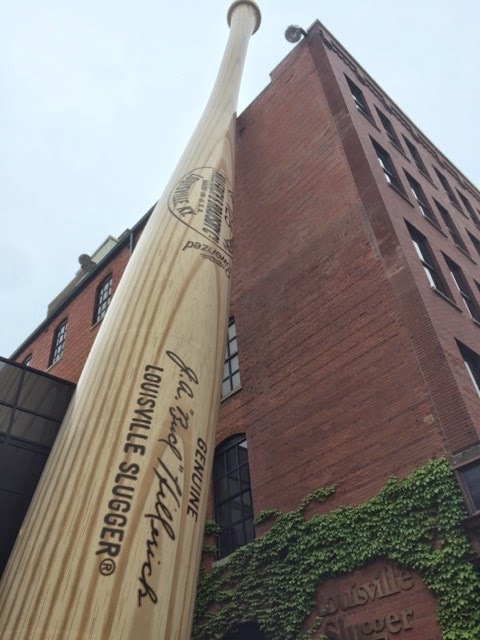 Besides work meetings, I took a few walks in town, went to the Louisville Slugger Museum and stopped for photos on the race (particularly at Churchill Downs) as you see spread throughout this post. And with the Derby a week in the future at the time, you could tell the city was getting ready for it’s biggest event of the year. 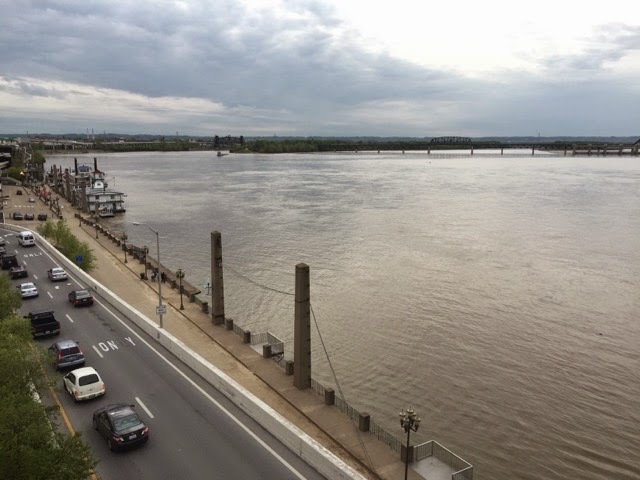 Before the race, I read reviews that this marathon course was just so-so. 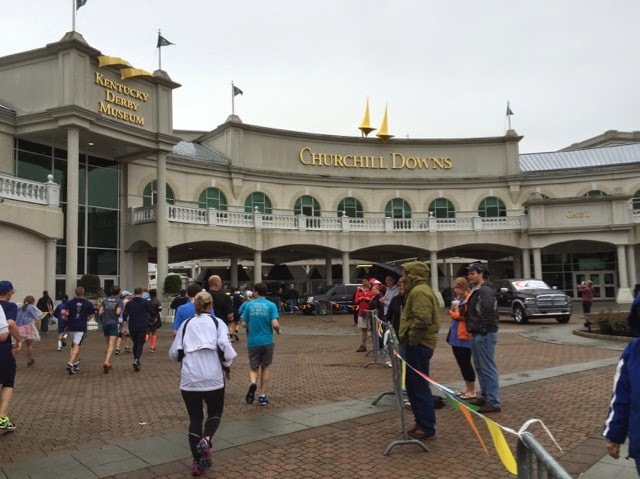 The highlight, Churchill Downs, comes at mile 8 so as to allow the full and half-ers (12K of them) to both experience this landmark. Yet, the entire course was very nice. Crowd support was ample, and the last few miles were in some older parts of town with cute local boutiques and cafés. I chatted to a number of people throughout the race, and everyone was super friendly from the volunteers to the officials to the soaked participants. I will admit that the hilly 3 miles in a park in the middle of the race were pretty but not really that fun. But that was more because it was pouring! The final 10 miles were easy, and I passed about 100 people. 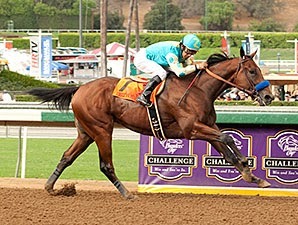 So all told, I learned from the Kentucky Derby Race, and I hope this inspires similar (if not faster) 19 more states. Just 26 months until I am 50! There is work to be done, and the more the work is play, the better the race regardless of final hours, minutes and seconds.